A former Staff Sergeant with the United States Army, Daniel started in “Digital Multi-Channel Communications” but was later discovered by a General in Signal Corps who heard him jamming at the local Army club. Fisher then spent 2 years touring Europe with the 84th Army Band followed by 2 years across the United States with the “US Army Rock Band”. After the Army, Daniel received dual degrees in “Music Synthesis” and “Music Production & Engineering” from Berklee College in Boston. 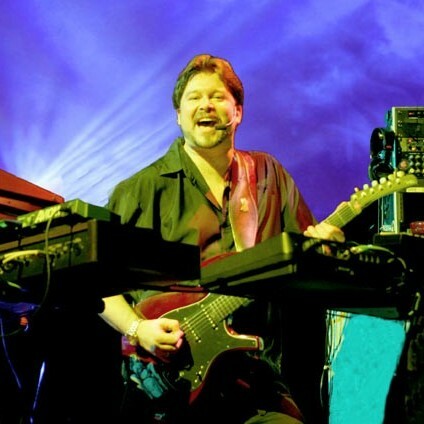 He spent several years as a Soundware Engineer for Kurzweil Music Systems, and then went on to become the Director of Soundware Engineering at Sweetwater Sound where he headed the creation of over 20 CD-ROMs and synthesizer programs for Kurzweil, Alesis, Korg, Yamaha, E-MU,and TC Electronic.